Dr. Parsons is a passionate, entertaining, and highly experienced public speaker. For over 20 years, he has lectured to doctors, nurses, hospital leaders,scientists, medical students, doctors-in- training, business leaders, patient groups, and community organizations. Drawing on his unique observations as a surgeon, scientist, and novelist, he inspires audiences to tap their innate creativity and rediscover their passions. He earned an A.B. in History from Stanford University, M.D. from the University of Pennsylvania, and completed medical training at The Johns Hopkins Hospital in Baltimore, MD. Chief resident Steve Mitchell is the quintessential surgeon: ambitious, intelligent, confident. Charged with molding a group of medical trainees into doctors, and in line for a coveted job, Steve has a bright future. But when a hospital patient mysteriously dies, it becomes clear that it's a case of foul play. And the killer is set on playing a deadly game with Steve. Science, Literature, and Creativity: Using Both Sides of Your Brain Maximize your creative potential in unexpected and innovative ways. Through Kelly Parsons' experiences as a surgeon, scientist, and novelist, he argues how our brains are much more interconnected than we may think, and explain how to tap scientific creativity in unexpected ways. 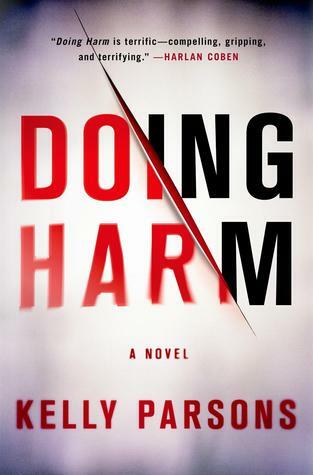 Doing Harm: Medical Mistakes Explained Nearly 100,000 patients die each year in U.S. hospitals from medical mistakes. 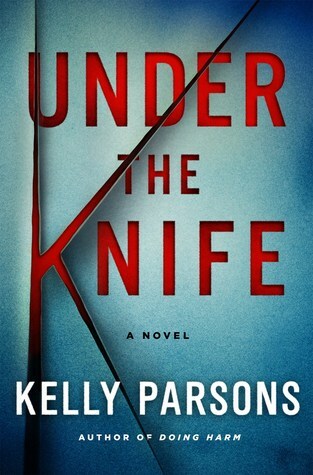 Using real-life examples that inspired Kelly Parsons' novels Doing Harm and Under the Knife, he explains what these mistakes are, how they occur, and how to avoid them. Creativity and the Surgeon Practicing surgery or medicine is an art as much as a science. Parsons describes how creative writing has influenced his career as a doctor in wonderful and unexpected ways, and how his experiences may guide and inspire others in the health care and science fields. Preventing Career Burnout by Nurturing your Passion The American Medical Association estimates that over half of all doctors in the U.S. suffer from burnout. Parsons describes how fiction writing reignited his passion for medicine, and how his experiences may help doctors rediscover their love for the healing arts. Doctors as Storytellers: Discover Your Inner Novel Many doctors are aspiring writers. Kelly Parsons uncovers secrets for nurturing and releasing that inner fiction or non-fiction book, including development of ideas, time management, and the process of writing from outline to publication.